Check out our new Chirper Archive here. All Plus level Dancers are invited to come and dance with us on Fridays. We are a Friendly club and everyone is welcome to come and Square dance with us on friday nights. We make sure that everyone gets to dance. Guests are always welcome. Normal dress code is square dance attire, however it is not required. Club attire (Wear Green) is encouraged on club party nights (normally on the third Friday of the month). Katydids is a membership run club. The club is administered by a board of directors on behalf of the membership. The board is elected annually by the membership. A Copy of the Katydids Membership Application and Bylaws are available as a PDF download file here or they are available on club nights from any board member. You will need Adobe Reader to open the PDF files. You can download the Katydids Bylaws PDF file here. You can download the Katydids Membership Application PDF file here. You can download the Club Inventory PDF file here. You can download the 2019 Sweet Heart Dance Flyer PDF file here. You can download the January 2019 Chirper PDF file here. You can download the February 2019 Chirper PDF file here. You can download the March 2019 Chirper PDF file here. You can download the April 2019 Chirper PDF file here. You can download the May 2019 Chirper PDF file here. You can download the June 2019 Chirper PDF file here. Our Annual hoedown is the Sweethearts Special held around February 14, Valentine's Day, each year. The 2019 dance will be held on Saturday, February 09, 2019 from 7:30 p.m. to 10:30 p.m. at Sunnyvale Presbyterian Church, 728 West Fremont Ave, Sunnyvale,CA. 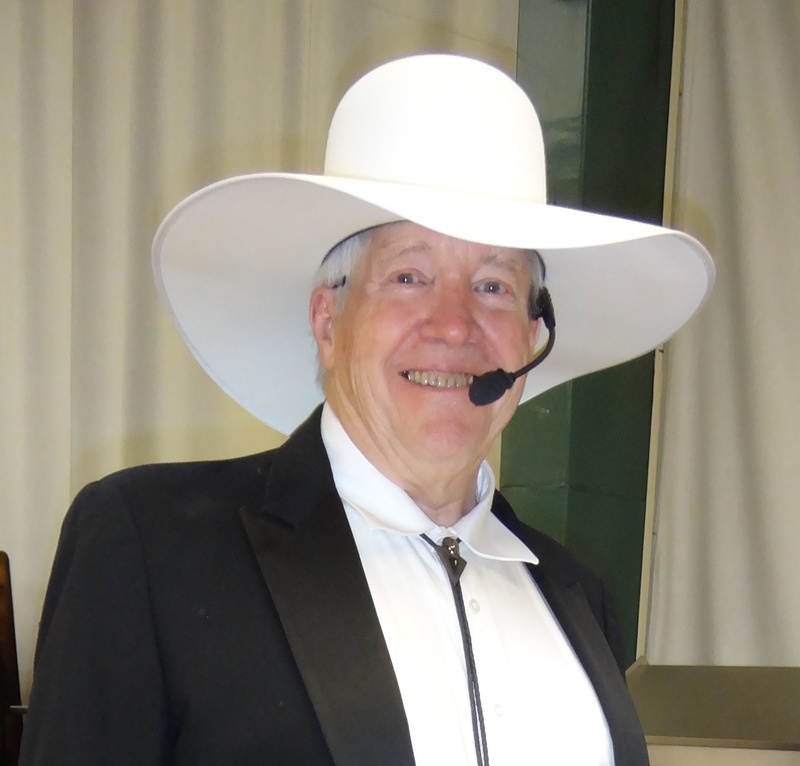 The caller is Buddy Weaver, with Pre-Rounds and Rounds by Sue and Phil Harris , Pre-Rounds are from 7:30 to 8:00 and Rounds between square dance tips. Past callers were Ed Sanders (1961-1962), Kenny Steen (1962-1978), Bill Davis (1978-1995) and Harold Fleeman (1995-2005). Come back to 1961 and a square dance club called the Twirling Sands. Named after the club caller Ed Sanders, the club met on Thursday nights. Several members were having difficulty attending on a regular basis, so they decided to form a Friday night club. The group looked around for a place to dance. 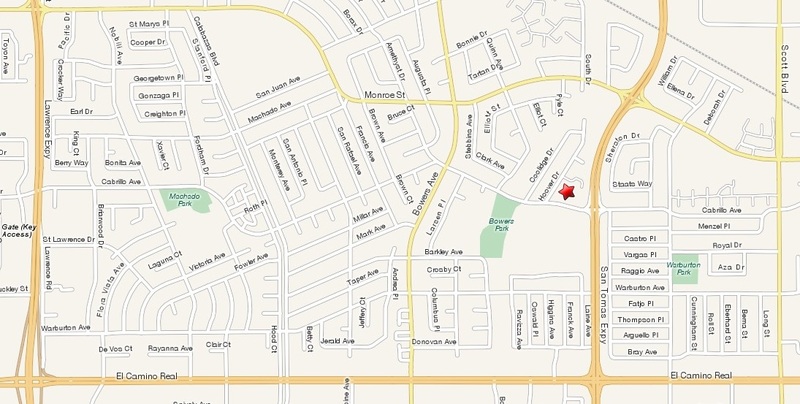 The clubhouse at Bowers Park in Santa Clara was available on Friday nights. One of the Twirling Sands' founders and members, Kenny Steen, had recently graduated from callers' school and had started calling at area dances. Soon he was recruited to call. They elected a slate of officers, held their first class of seven squares and were on their way to official clubdom. After the class graduated and another slate of officers was elected, the members decided to make it "legal" with a club name and logo. How does Moonlighter, Crazy Crickets or Cute Cats sound? Picture this: a warm summer night, sitting in the park, folks discussing possible club names and suddenly a shrill scream! Lorraine Willes with the "never-out-of-place" hairdo jumped up and was frantically pulling at her hair. A huge insect had fallen from the tree into her hair. "Katydid" was the scream and a club name was born. 1961 is when the group started dancing. 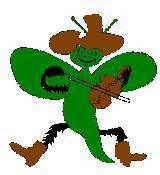 1962 is the official date of the club's formation when the bylaws was adopted, a club name and logo were selected and the club was registered with "official" square dancing organizations.